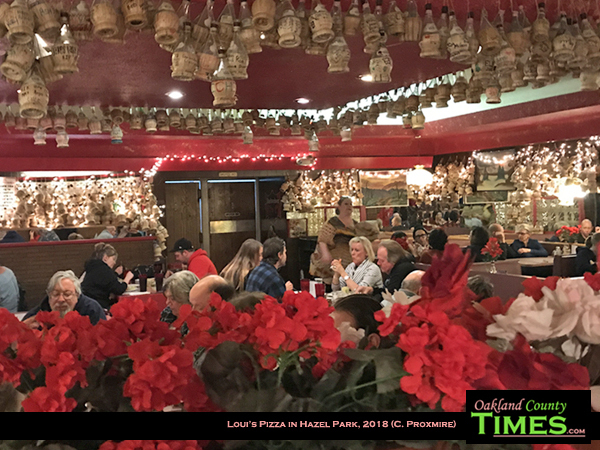 Hazel Park, MI – For over 40 years, Loui’s Pizza has been serving up award-winning deep dish pizza, along with other Italian favorites. 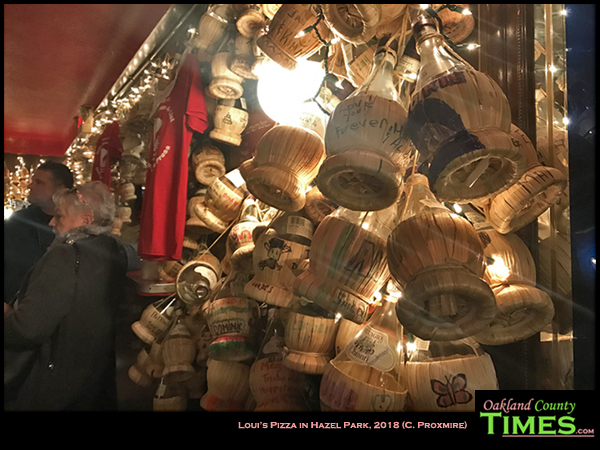 The restaurant itself is a uniquely-decorated place, with with bottles, holiday lights and artificial flowers. And there often is a line for people picking up carry out orders. 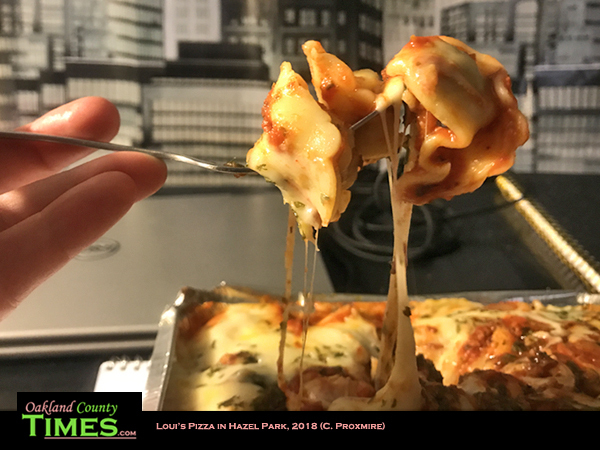 For this feast a friend and I ordered the baked cappelletti, which is meat stuffed noodles topped with cheese. 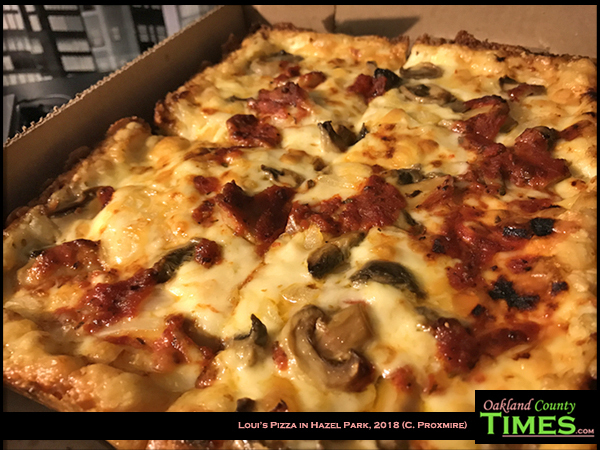 And of course we had to try the famous pizza – this time topped with mushroom and onion. 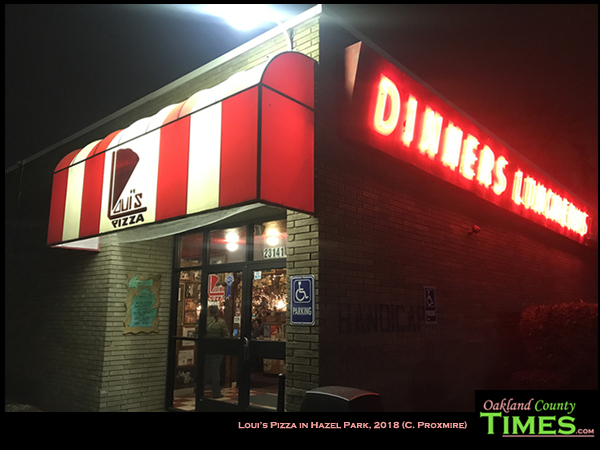 The thick bread, rich sauce, and thick layer of gooey cheese make Loui’s Pizza a unique pizza experience. 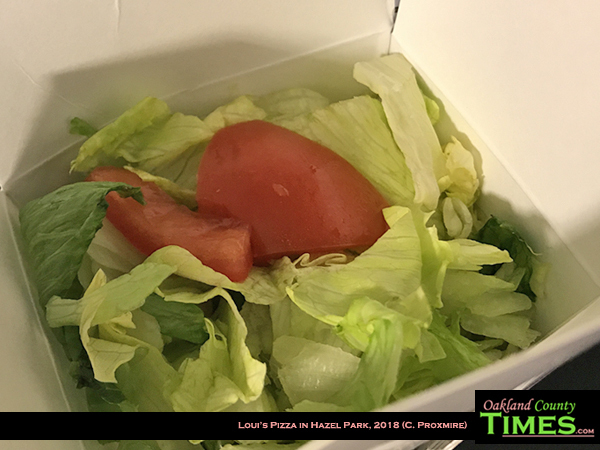 There are many toppings available. 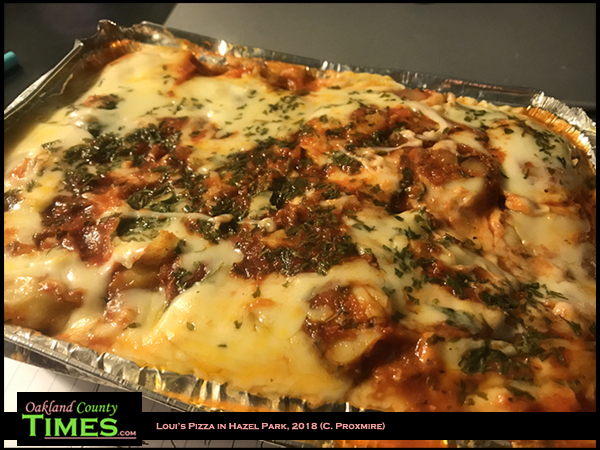 They also have sandwiches, salads, and other Italian dishes like spaghetti and meat balls, Italian sausage, ravioli and lasagna. 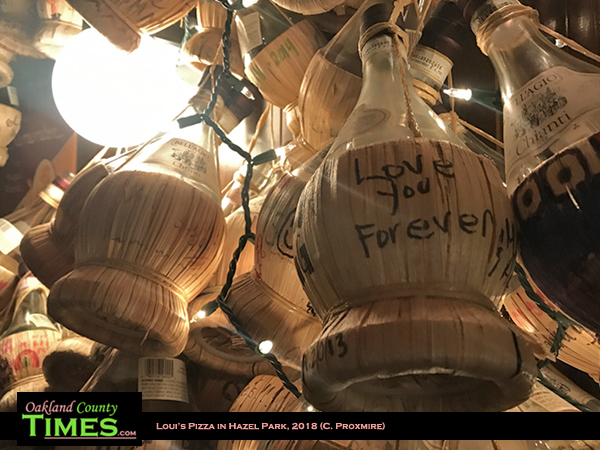 Check them out online at http://louispizza.net. Check out other Reporter Food columns by CLICKING HERE.